In looking at luxury houses for sale in Atlanta, Georgia, you’ll find not only spacious properties with beautiful designs and opulent finishes, but a host of lifestyle-enhancing amenities as well. Here’s a look at some of the top amenities that define luxury homes today. Luxury properties today incorporate smart features that give residents easy control over almost every detail of their home. With just a click of a button or a voice command, you can control the temperature, lighting, window shades, and doors of a room or even the entire house. A smart system can be used to remotely turn on the TV, switch channels, or start music streaming. You can also use it to manage your home security system even when you’re out. Technological breakthroughs have made energy-efficiency a buzzword in luxury homes. The automation properties of smart home features make them highly effective tools in energy saving. Green technology, such as solar panels, water irrigation systems, energy-efficient appliances, and double pane windows, are also widely used in luxury homes, allowing substantial savings on utilities. 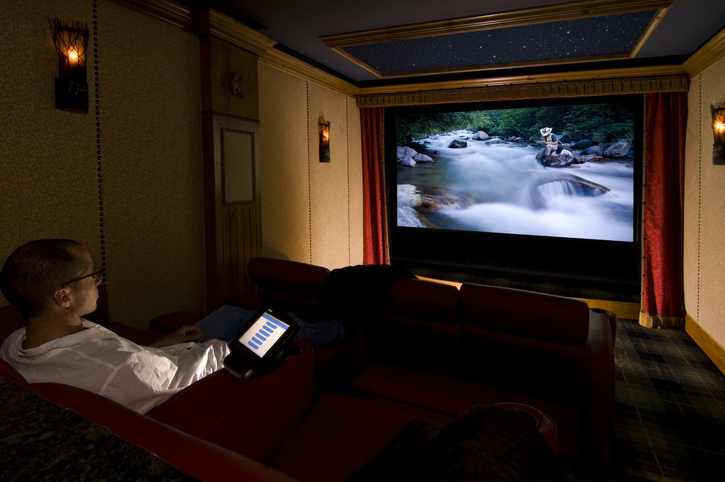 A home theater or entertainment room is now standard in luxury properties. You can enjoy the features of an upscale public theater in the comfort of your own home, including a large screen high-res TV, recliners, digital sound system, and mood lighting. Many luxury properties feature amenities like a game room and a full bar, taking entertaining at home a notch higher. You no longer have to fight your way through traffic to work out at the gym. Many luxury homes today come with fitness rooms, exercise studios, and spa rooms, complete with the latest equipment and fixtures. Your trainer can come to you when it’s most convenient. And you can get a relaxing massage or have a soothing spa session whenever you want without having to leave home. If you love playing sports and an active lifestyle, you can enjoy both in the privacy of your home. Many luxury properties today come with private tennis courts, miniature baseball diamonds, bowling alleys, and other sports facilities. Resort style swimming pools remain a popular luxury home feature, but lap pools for exercising are also getting prevalent. What could be more rewarding at the end of a busy day or week than relaxing at your very own outdoor retreat? Many luxury homes today are designed to marry indoor and outdoor living, with such features as outdoor bars and kitchens, outdoor seating and fireplaces, and gorgeous landscaping. In many homes, sliding glass doors allow for seamless outdoor-indoor flow – perfect for barbeques and entertaining at the patio. The kitchen has become more than utilitarian space. It’s considered the heart of the home where family and friends gather. Large chef’s kitchens have become standard features in luxury homes, featuring the latest gadgets, stainless steel appliances, large counters and islands, custom cabinetry, mood lighting, and more. Walk-in pantries and butler’s cabinets are also popular features, providing ample storage space for all the ingredients and cookware a home chef needs. Searching for a luxury home in Atlanta that matches your dream lifestyle? Get in touch with SET Realty Group here or call us at 404-348-2373.